#TRENDING made it through renewal and is back for another season, take that The B**** in Apartment 23. Probably doesn’t hurt it was it was chosen as a finalist for Fantasy Baseball Series of the Year by the Fantasy Sports Writers Association, along with nabbing me nominations for Baseball Article of the Year and Baseball Writer of the Year. Why do I mention this? Because I’m a notorious self-promoter and braggart by nature, and really, how else would you have known? Notice I didn’t mention I lost all three. Wait… dammit. Chalk it up to voter fraud, I suspect some Ballot Box 13 type of shenanigans must have been at play. Only explanation. Which makes Patrick DiCaprio, Lyndon Johnson to my guy no one’s ever heard of. High praise. But enough of this. Fantasy Baseball time. For you newbies, here’s the skinny, each week I’ll be scouring the Twitterverse, digging up what the masses are talking about, 140 characters at a time. The goal? Present Fantasy spin on the baseball happenings relevant to Fantasy owners. The outcome? A mishmash of Fantasy analysis, convoluted sabermetrics and hilariously, or not so, outdated and esoteric references. 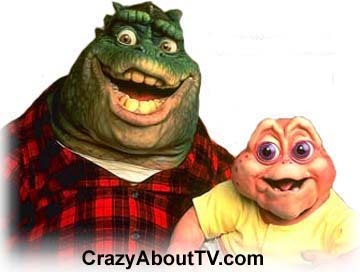 Shout out Dinosaurs! Since the season’s only about 1.1 days deep, it’s probably best to commence with a strategy session since we’re so close to the starting gate. Most Fantasy experts will tell you, well, the good ones at least, before anything else peek at your league’s settings. Generally, there’s not much new to uncover. Most settings and scoring tend to be fairly uniform; nothing more than a few tweaks showcasing the commissioner’s authority like he’s Pol Pot. Except transaction limitations, a unique element to every league. Makes sense, since it’s the easiest way to exploit the rules to your advantage. You just need to understand how to properly stream players in and out of your lineup for maximum production. Know this: Streaming is not for the faint of heart. If you’re risk adverse, stay away. Ditto if you sport a pacemaker or suffer from high blood pressure; it will be the end of you. Basically, it’s Fantasy Cialis, so consult a physician first. But, effectively utilizing your weekly pickups will elevate Fantasy squad from middle of the pack also ran to championship contender winner. The common question, “how often should I do it?” depends on your specific league. If you’re only allowed weekly moves, first, get a better league, it makes this much more difficult. You’ll have to project ahead, scout two-start hurlers and load up the back end of your rotation with new bullets every week. Daily moves leagues, much different story. In Rotisserie scoring, stream a new pitcher whenever you feel you’ve found a favorable matchup. Easy. In head-to-head formats, loading up your pitching staff at the beginning of the week will let you post an early lead in counting stats – Wins and Strikeouts – and hopefully, establish winning ratios – ERA and WHIP. Inevitably, some of these moves will blow up in your face; it’s going to happen. But, by knowing the results early, you have time to adjust and rehabilitate those numbers over the remainder of the scoring period. Besides swinging a pair of pitching categories in your favor, streaming opens up roster spots to tackle areas where your team is struggling. Think of it this way: If your league has seven pitching slots available each day, because you’re constantly experiencing turnover on the back end, you can load up on extra closers or set up men, depending on the league scoring, giving you a freebie in those categories while never having to worry about reaching innings requirements or chasing counting stats. Optimally, your Fantasy pitching staff will be constructed of two or three high-end pitchers establishing quality ratios and chipping in across the board, three to four closers donating saves and the always exciting sporadic cheap win, and two open spots for rotating hurlers in and out of your lineup. This strategy allows you to focus all your attention on upgrading your batters. Even the disadvantage of trading away elite pitching for hitting can be mitigated through savvy pickups, thus bolstering your offensive potential without losing any ground in the pitching categories. Plus, regardless of how effective any single pitcher may be, five starts is always better than one elite performance. The key is to keep consistent. If you can’t commit to the method, it will prove disastrous. But those pickups are available for your disposal, why not use them? Don’t be intimidated by the oppressive tyranny of calendars. Any time’s the right time if a deal helps your team. And opening day hype creates a passel of unrealistic expectations. Currently, the only people more fired up for Bryce Harper are those who don’t have him on their Fantasy roster. Oh, if I have to hear he’s on pace to smack 324 HRs one more time I’m opening the oven and seeing how long it takes to make Mayo Head Pie. Joke’s on the gas company though, since I won’t be around to pay. Here’s the problem. Yes, Harper’s going to be great; that’s why you reached for him in your draft. But not shopping him around while his value’s at its vertex is sheer lunacy. Don’t just give him away, because everyone will instantly morph into Clay Davis at that point. Send out some ridiculously slanted offers and see what happens. There’s no harm. It only takes one moron to accept. Immediately after he cracked his second dinger against the Marlins, I witnessed Harper get shipped off for Carlos Gonzalez and Adam Wainwright in one of my leagues – and it wasn’t the one I do in conjunction with the Special Olympics. Just 36 hours ago, sane people would have scoffed at a one-for-one Harper for Cargo exchange. Now, you’re giving up an appetizer for an entrée and dessert. Although, in this lax metaphor Harper is one of those awesome starters, some sort of all encompassing, everything on the menu dish – including calamari, fired pepperoni and more than three hot wings. His worth will likely never be higher. You’d be doing your team a disservice if you didn’t attempt to cash in. The goal in any trade is to improve your team, and you should be trying to do it whenever it’s possible. If waiting periods aren’t mandatory for guns, they definitely aren’t for trades. I MADE A WRONG TURN WHERE? I have a dude named @alalburquerque on my fantasy team. Based on name alone, I’m definitely gonna win it all this year. Jim Leyland provided some clarity for Fantasy players opening day. We watched the Tigers manager roll out his band of bullpen misfits using the ABC method: Albuquerque, Benoit, Coke. Nothing like fusing managing and alphabetization; it makes baseball librarians’ jobs that much easier. But I can’t say I see this order persisting – too much circumstantial evidence. His love of cigs has aged his face to octogenarian levels, but Leyland’s brain is just as sharp now as it was in 1879. He allowed Benoit to get four outs, then unleashed the lefty specialist on poor, unsuspecting Justin Morneau. Now, wouldn’t it have seemed logical to bring Coke into face Joe Mauer in the eighth? Not especially. Mauer is simply an awesome hitter, regardless of a hurler’s dexterity. He’s a .295 career hitter against lefties, and slugged two long flies off Coke in just 16 at-bats. Leyland knew he’d be better served letting Benoit try his hand with Mauer, so he too could face Josh Willingham, who has never reached base against the righty. No, scouting said, leave Coke for Morneau –coincidentally this is also the best way to shut down Josh Hamilton – a repeat victim of left-on-left crime, or so his measly .204 average against southpaws the last two seasons would indicate. It worked! Everything went as planned, and Coke finished off the anti-platoon split master, switch hitting Ryan Doumit, and earned his first save of the season. That’s simply how this particular game unfolded. Coke’s save opportunity was merely a product of circumstance. Not to say similar situations won’t arise, they will. But don’t go blowing your hard earned FAAB bucks on him. He should collect close to double-digit saves by season’s end, but he’s not going to be the guy long-term. Gun to my head, which seems to happen far too often these days (since evidently the only wait people had to get them was the line), I’d want Albuquerque over the rest. In time, someone is going to notice he fans 13.5 per nine innings and is virtually unhittable. The guy with the elite skills will get his chance. … you’ve completely lost it. Season Six starts Sunday night and I’m fired up, which means I can only watch into the third inning of Sunday Night Baseball the next 12 weeks. (Un)fortunately, when I tune back in at the end of the hour, I’ll only have missed a half inning. Stupid ESPN and their stupid slow motion cheat codes. Fellow RotoExpert Tom McFeeley suggests DVR’ing it, and starting it about 20 minutes late, so you essentially cut out the commercials and miss only 42 minutes of baseball, or five pitches of a Yankees/Red Sox game. It’s that second level of thinking that separates us from the rest.